Be the hottest mom at the school play in this fabulous outfit! All three items will take on different looks and give you lots of versatility. What’s better than a perfect denim jacket…not much! This jacket, by Live a Little, will become your go-to piece for the entire fall. Nicely shaped and detailed, you will wonder how you lived without it! Layered under the jacket is the most perfect turtleneck! Made of super soft Modal fabric, it’s the perfect weight for layering and there’s no binding, twisting, shrinking, or feeling like you are being strangled! Made in the USA, by Comfy, and is another Lifestyles favorite. Show your fun and stylish side with this great Joseph Ribkoff skirt! Made in Canada of a beautiful thick fabric, this skirt will be comfortable and forgiving all at the same time. 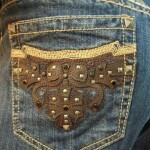 The 2-way zipper (yes, it opens form the bottom & the top!) adds flair! 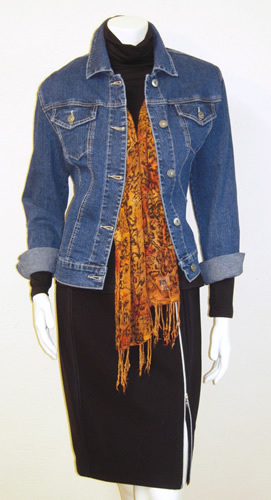 This skirt will look great with boots or all dressed up to go out! Jeans are the most beloved items in our wardrobe! Nothing beats your favorite jeans. 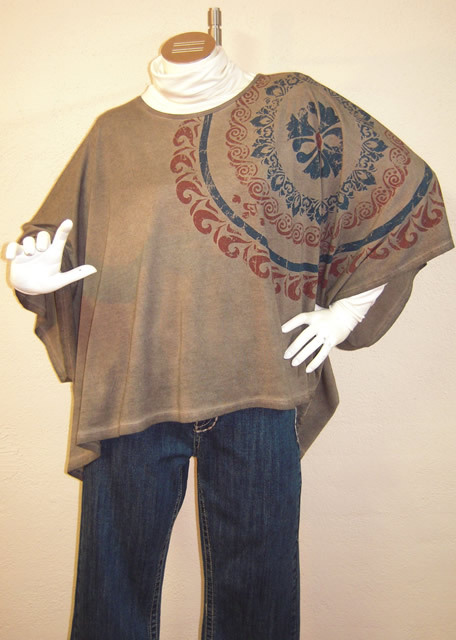 We carry several brands and styles and fits so we can always find the one for you! This pair is made by Ethyl and is a great-fitting mid-rise jean with a slight boots cut. 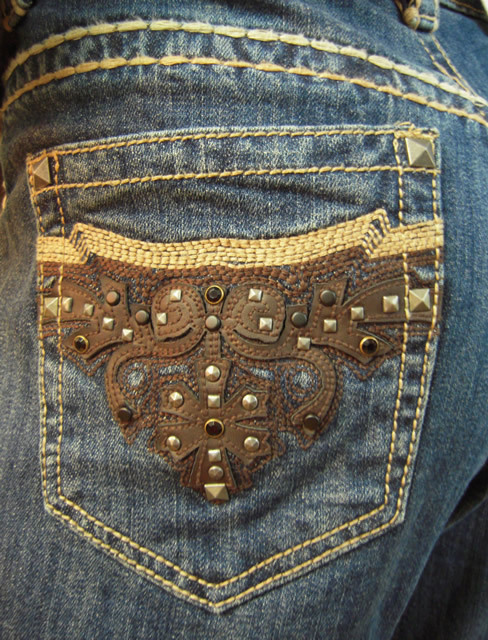 The highlight of this jeans is the fun pocket detail.